Facebook - If you like our site or the pictures on the site, please click the "like" button. 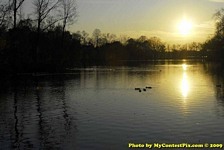 Feel free to visit us or leave feedback on our Facebook page - MyContestPix.com! Shows, Photoshoots and other events.. The 2016 NJ NPC Muscle Beach Championships had 130 athletes!! We uploaded 3,006 pictures!! Lighting was dim and spotty in places. They couldn't turn off color lights. Enjoy!!! The 2016 PA NPC XCalibur Cup Championships had 129 athletes!! We uploaded 2,510 pictures!! Lighting was horrible. There was no White lighting, just color lighting, wrong temperature lighting and No front lighting. Spent a lot of time in post production... Enjoy!!! 2016 Arnold Classic Sports Festival We took 7,900 pictures over 3 days!! Enjoy!!! The 2015 NJ NPC Muscle Beach Championships had 100 athletes!! We uploaded 2,147 pictures!! Lighting was good, but spotty in places. Had to turn off the color lights. Enjoy!!! The 2015 PA NPC XCalibur Cup Championships had 78 athletes!! We uploaded 2,114 pictures!! Lighting was horrible. There was no White lighting, just color lighting, wrong temperature lighting and No front lighting. Spent a lot of time in post production... Enjoy!!! The 2015 PA NPC Lehigh Valley Championships had 242 athletes - a New Record!! A total of 490 participantss including cross overs. We uploaded 4,700 pictures - a new Record!! Took 4 days to process. Lighting was strong, but the bulbs were not white light so everything had to be WB. Enjoy!!! The 2015 NJ NPC 24th MidAtlantic Natural Classic had a 82 athletes!! The was the first year here! We uploaded 2,337 pictures. Lighting was good and the stage was wide and deep. The stage height was just right. :) Enjoy!!! The 2015 PA NPC Tracey Greenwood Championships had a 71 athletes!! The was the first year here - on a Sunday! We uploaded 1,977 pictures. Lighting was adequate, but the type of bulbs were wrong. :( The type of lighting wasn't white. The stage height was just right. :) Enjoy!!! The 2014 NJ NPC East Coast Championships had a 287 athletes, new record!! We uploaded 3,790 pictures, a new record. Lighting was good but too bright on the edges. The type of lighting wasn't white. Also, the stage was too low, but the venue had a great sound system and the stage was wide... :) Enjoy!!! The 2014 NPC Gold's Classic had a 180 athletes - a new record!! We uploaded 3,762 pictures - the most ever. Lighting was excellent with even lighting. One of the best venues in NJ.. Enjoy!!! The 2014 PA NPC Big Cat Classic had a 130 athletes - a new record!! We uploaded 2,876 pictures. Lighting was good, but too strong in places. Enjoy!!! The 2014 NPC New Jersey State Championships had a 164 athletes - a new record!! We uploaded 3,100 pictures. Lighting was excellent. Great venue.. Enjoy!!! The 2014 NJ NPC Muscle Beach Championships had a 161 athletes, a record for this show!! We uploaded 2,993 pictures. Lighting was good, but uneven. Background was wrong. Enjoy!!! The 2014 NJ NPC Tri-State Championships had a 55 athletes!! We uploaded 2,353 pictures. Lighting was good but uneven. The light bulbs were wrong. :) Enjoy!!! The 2014 PA State/ PA Classic Championships had a 92 athletes, a record for this show!! We uploaded 3,250 pictures. Lighting was good, but the lighting bulbs were wrong, Used my new camera.. :) Enjoy!!! The 2014 NJ South Jersey Championships had a 167 athletes, a record for this show!! We took 2,850 pictures. Lighting was powerful and it was white light, Yea!!!. Enjoy!!! The 2014 PA Tracey Greenwood Championships had a 85 athletes!! We took 1,700 pictures. Lighting was strong, but the wrong types of lights. Enjoy!! The 2014 NJ NPC Garden State Championships had a 198 athletes, a record for this show!! We took 2,600 pictures. Lighting was poor. Enjoy!!! The 1st Annual 2014 PA NPC XCalibur Cup Championships had a 61 athletes!! We took 1,700 pictures. Lighting was excellent, but spotty. Enjoy!!! 2014 PA NPC Lehigh Valley Championships had a record bumber of athletes - 191!! We took 3,496 pictures. Lighting was OK, but the incadescent lighting affected all shots. Enjoy!!! 2014 NJ NPC Mid-Atlantic Classic had 278 athletes!! We took 2,200 pictures. Lighting was good. Enjoy!!! 2014 NJ NPC John Kemper Classic had 278 athletes - a record number for any show in NJ!! We took 2,700 pictures. Lighting was poor and uneven. Enjoy!!! 2013 NJ NPC East Coast Championships had 189 athletes. We took 2,800 pictures. Lighting was poor and uneven. Enjoy!!! 2013 NY NPC Grand Prix had 142 athletes - A record. We took 3,080 pictures. Lighting was strong/even. Great venue/stage. Enjoy!!! 2013 NPC PA Big Cat Classic had 90 athletes - A record. We took 2,350 pictures. Lighting was OK. Enjoy!!! 2013 NPC PA Brandywince Cup Championships had 71 athletes. We took 1,450 pictures. Lighting was poor. Great venue with wide, deep, high stage... Enjoy!!! 2013 NPC PA State/Classic Championships had 72 athletes. We took 2,190 pictures. Lighting was poor. Decent venue with narrrow, high stage... Enjoy!!! 2013 NPC NJ State Championships had 123 athletes. We took 2,786 pictures. Lighting was good. Great venue with wide, deep, high stage... Enjoy!!! 2013 NPC 2013 NPC NJ Muscle Beach Championships had 95 athletes. We took 2,224 pictures. Lighting was spotty on the right hand side of the stage and off to the back. Great venue with wide, deep, high stage and 714 seating... Enjoy!!! 2013 NPC 2013 NPC NJ Tri-State Championships had 75 athletes. We took 1,580+ pictures. Lighting was great except towards theback of the stage. Great venue with wide, deep, high stage and 714 seating... Enjoy!!! 2013 NPC 2013 NPC NJ South Jersey Championships had 45 athletes. We took 1,200+ pictures. Lighting was good, but it wasn't the right type (pink white). Great venue with wide, deep, high stage and 950 seating... Enjoy!!! 2013 NPC PA Tracey Greenwood Championships had 108 athletes. We took 1,900 pictures. Lighting was strong, but the not the right type (amber and cool, not white). Enjoy!!! 2013 NPC NJ Garden State Championships had a record 202 athletes. We took a record 3,025 pictures. Largest show in NJ history. Lighting was poor... Enjoy!!! These are Low Resolution pictures!! 2013 NPC NJ Suburban/John Kemper Classic has 113 athletes. Enjoy!!! Lighting was Poor. Bill Clinton Rally at Montgomery Community College. Enjoy! 2012 NPC NJ East Coast Championships has 79 athletes!! Lighting was Poor. Here are the NPC East Coast Championships results and the competitor's numbers. competed. Enjoy! 2012 NPC NJ Gold's Classic Championships has 75 athletes!! Lighting was OK. Here are the NPC NJ NPC Gold's Classic Championships results and the competitor's numbers. competed. Enjoy! Women's Physique Prejudging . Class A through Class C.
2012 NPC PA Brandywine Cup Championships has over 1000 pictures!! Lighting was poor. There were 29 athletes. Enjoy! 2012 NPC New Jersey State Championships had over 2,400 pictures!! Lighting was very excellent. There were 77 athletes. Here are the NPC NJ NPC New Jersey State Championships results and the competitor's numbers. competed. Enjoy! 2012 NPC NJ Muscle Beach Championships had over 3,300 pictures, a New record!! Lighting was very excellent. There were 95 athletes. Here are the NPC NJ Muscle Beach Championships results and the competitor's numbers. competed. Enjoy! 2012 NPC Tri- State Championships has over 1,700 pictures. Lighting and venue was one of the best, bar none. 62 competitors for Glenn's first show. Here are the NPC Tri- State Championships results and the competitor's numbers. competed. Enjoy! 2012 NPC Philadelphia Championships (Tracey Greenwood Classic ) has over 3,100 pictures - a record. Lighting was very poor. Record competitors - 130 athletes competed. Here are the Tracey Greenwood results and the competitor's numbers. competed. Enjoy! 2012 NPC Garden State Championships. has over 2,100 pictures. Lighting was very poor. Here are the Garden State results and the competitor's numbers. Record competitors - 117 athletes competed. Enjoy! 2012 NPC Lehigh Valley Championships. has over 960 pictures from Prejudging Only. Lighting was not working during through the Women classes. :) We tried to make corrections. 2012 NPC New Jersey Mid-Atlantic Natural Championships. has over 2,800 pictures from this competition. We made some pictures into Black and White. Here are the MidAtlantic Natural Championships results and the competitor's numbers. Record competitors - 105 athletes competed. Enjoy! We posted over 1,200 pictures from the 2012 Penn Relays over 2 days. The weather was pretty miserable both days with winds just under 15mph. With little sun and winds on Saturday, times were slow this year. Enjoy!! 2012 NPC New Jersey Suburban. has over 1,600 pictures from this competition. Here are the Suburban Championships results and the competitor's numbers. 81 athletes competed. Enjoy! We're be shooting Prejuding and Finals for all the Women Athletes. Pictures will be posted here. Maybe some candid shots if you flag us down. Do you want to get the best Wedding pictures you or someone else took? We offer digital enhancement of your pictures. Check it out!! 2011 NPC New Jersey East Coast. has over 1,900 pictures from this competition. Here are the East Coast Championships results and the competitor's numbers. Check out the BW pictures! 104 athletes competed. Enjoy!! 2011 NPC New Jersey Gold's Classic. has over 2,300 pictures from this competition. Here are the Gold's Classic results and the competitor's numbers. 69 athletes competed. Enjoy!! 2011 INBF Pennsylvania State Championships has over 600 pictures, from this competition. 12 athletes competed. Enjoy!! 2011 NYC IFBB/NPC Metropolitan Fitness Championships has over 1,400 pictures, from this competition. We captured lots of flips, splits and acrobatic poses. Enjoy!! 2011 NPC New Jersey State Championships has over 2,400 pictures, and results from this competition. 90 athletes competed. 2011 NPC Delaware State/Delaware Open has over 1,600 pictures, and results from this competition. 33 athletes competed. 2011 NPC Muscle Beach has over 1,950 pictures, and results from this competition. 63 athletes competed. 2011 Empire States has over 1,760 pictures, DVDs from this competition. 31 athletes competed. Randi Marie's first Photo Shoot. Mostly black and white shots. Enjoy!! DVDs of the show will be shipping by July 30th. New venue this year. Different lighting system. The 2011 NPC Tracey Greenwood Classic has over 1,660 pictures, DVDsand results from this competition. 79 athletes competed. Fred Smalls guest posed. The 2011 NPC Garden State has over 2,800 pictures and results from this competition. 100 athletes competed. Kevin English and Mark Alvisi guest posed. The 2011 NPC Mid-Atlantic Natural Classic has over 2,400 pictures and results from this competition. 82 athletes competed. Record number of competitors!! The 2011 NPC Jersey Shore Championships has about 1,000 pictures and results from this competition. 55 athletes competed. NJNPC.com started interviewing the winners in each class. The 2011 NPC New Jersey Suburban has over 1,600 pictures and results from this competition. 71 athletes competed. Men's Physique was introduced at this show. 5 athletes competed. The 2011 INBF Pennsylvania Classic has 550 pictures from this competition. We had 11 athletes compete on short notice. We had a busy weekend this year. We covered the normal shows as in past years, but decided to do something different. Everyone shoots in color so we decided to shoot in good' old B&W and see what happens. Obviously, both renditions have their fans and their detractors. For most of the BB shows, we shot in Black and White which shows contrasts very well. Notice the vascularity and muscle definition! Please let us know if you like the pictures. Of course, we can easily convert them to back to color to see the competitors in their splendid natural glory. If people like the pictures, we may have just started a tradition. Time will tell... Enjoy!!! Select 2011 NPC Final Men Shots in Black and White. Some candid 2011 Arnold Expo shots! We posted about 1,600 NPC Women from Prejudging (Figure, Bikini and Fitness) and Finals (Women's BB, and Bikini ) shots. Here are some IFBB Women Prejudging shots in Color and Black and White! We posted over 1,800 pictures. 78 competitors participated in Saturday's bodybuilding show. Guest Posers: Jason Arntz. We posted over 1,000 pictures. 40 competitors participated in Saturday's bodybuilding show. Guest Posers: Vinni Galanti. Click the button to view them. We posted over 1,800 pictures. 80 competitors participated in Saturday's bodybuilding show. Guest Posers: Kevin English, Victor Martinez, Craig Richardson. As an experiment, we took some raw pictures for these classes: teen, figure and bikini. Will post some B&W shots. Added Delaware Competitor's Results for Shows. Buy the DVDs of the show or get video segments of the show. DVDs have shipped. We posted the pictures from Saturday's show. Guest Poser was "Flex" Lewis. We posted the pictures from Saturday's show. Guest Posers were Guy Cisternino, Jeff Long, Vinni Galanti, and Cedric McMillan. We posted the pictures from Saturday's show. Guest Posers were Jason Arntz, Craig Richardson and Shawn Rhoden. We posted the pictures from Saturday's show. Buy the DVDs of the show or get video segments of the show. DVDs have shipped. Guest Posers were Jason Arntz, PJ Braun and Craig Richardson. See sample clips from the show. Place your order for Prejudging and Finals. DVDs have shipped! 2010 NPC Tracey Greenwood Classic in Philadelphia, PA.
We posted over 2,300 pictures from Saturday's show Guest Poser was Dexter Jackson. We posted over 2,200 pictures from Saturday's show. Guest Poser was Kai Greene. We posted over 1,600 pictures from Saturday's show. Guest Poser was Wendell Floyd. 2010 Penn Relays with Usain Bolt. We took over 500 pictures at Saturday's Track meet. Click the Penn Relay banner to see the pictures! We took over 2,600 pictures at Prejudging and Finals this year. We took over 7,000 pictures at the show this year. We have all the amateur/NPC Pre/Finals pictures posted as well as sample High Resolution Pro Prejudging pictures. All High resolution pictures can be viewed with a subscription. In addition, we took over 300 Expo pictures. Click the Arnold Classic Banner to get to the picture links. Ducks, Water and Sunset, Oh My! The pictures from NPC New Jersey (NJ) East Coast show are Posted!! All pictures will be low resolution since they were already published. Click the 2009 link to go to the Show Page. The pictures from NPC New Jersey (NJ) Tri-State and NJ State Show are Posted!! We took over 2,500 pictures from at this NJ Show - a New record! All pictures will be low resolution since they were already published. Click the 2009 link to go to the Show Page. As you may have noticed, we moved our site and changed our name to MyContestPix.com, so some things may not be functioning properly. We hope to have these issues sorted out, but if there's something that's really bugging you, please drop us a line!! Starting August 1st, all pictures from all shows going forward will be High Resolution. You can only make 4x6 Prints. All other print, CD, and collage options will be available in our store. Due to the time and effort to post these pictures, you will need a subscription to access and view them. You will only be able to view larger thumbnails of all the pictures (no Low resolution pictures like we have now). The High Resolution pictures for the 1st Annual NPC Chamberlain Cup, West Chester, PA are posted!! We took over 600 pictures spread over 13 competitors. Some high resolution samples are posted. We have over are 900 High Resolution pictures for the 1st Annual North New Jersey. Some high resolution samples are posted. The pictures from NPC New York (NY) Empire States are Posted!! The DVD is Done. We have posted the pictures from Serena, John McEnrow and Martina Navratilova playing in the WTT. Just off her Wimbledon win, it should be exciting. We have posted over 1,100 pictures from the NPC New York (NY) Empire States show. Scroll down the menu to "Empire States" and click. Kudos to Oren Silvers and his staff for his tireless efforts. We have posted over 1,500 pictures from the NPC New Jersey (NJ) North East (NE) Grand Prix show. Scroll down the menu to "Grand Prix" and click. The overall results are on RXMuscle.com. Please find your pictures 2009 NE Grand Prix. . Order the prints or High Resolution pictures! The DVDs for the OCB Delaware (DE) Central Eastern Seaboard States are Done!! We only made a few extras so order today. Order the DVDs! We have some New baby Chihuahua pictures!!! Mom and the 4 kids are fine!! No octo-mom here!! Born just weeks ago, they rate a 10 on the Aww Chart!! We have updated the site for the NPC New Jersey (NJ) Garden State show. Scroll down the menu to "Garden State" and click. Please find your pictures 2009 Garden State . Order the prints! You can order prints or high resolution pictures. The pictures have been posted for the New York City (NYC) Metropolitan IFBB Pro and Amateur show! 2009 NPC Arnold Classic Pictures (IFBB Pro and Amateurs)! We have over 1,700 pictures from the Women's NPC Amateur (Prejudging and Finals) competition! We also have 4,200 IFBB Low resolution pictures from 2005-2008. You can view some sample Arnold Hi-Res pictures (2005-2009).